Celebrate the fastest two minutes in sport with this refreshing cocktail. 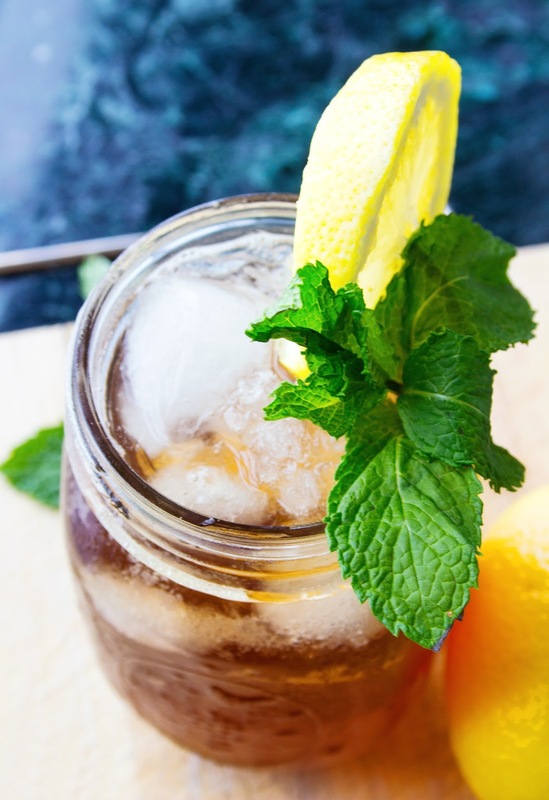 For this Kentucky Derby inspired libation, we blended two favorite southern beverages to create the ultimate derby drink. We took sweet tea, infused with mint leaves, and mixed it with bourbon and a touch of lemon for a cool cocktail. 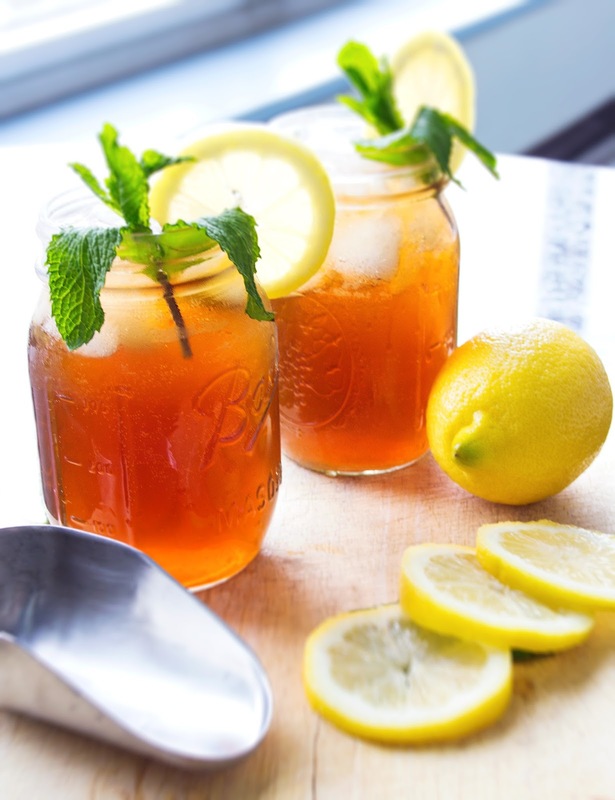 Serve over ice and in a mason jar for a perfect southern treat. 1. 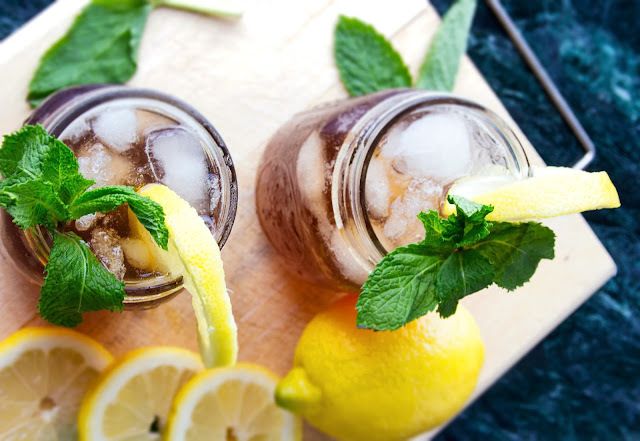 Bring 2 cups of water, sugar, and mint leaves to a boil, stirring to dissolve the sugar. 2. Remove from heat and add tea bags. Steep for 5 minutes. 3. Remove tea bags and add the remaining 3 cups of cold water. 4. Refrigerated until ready to serve. 5. 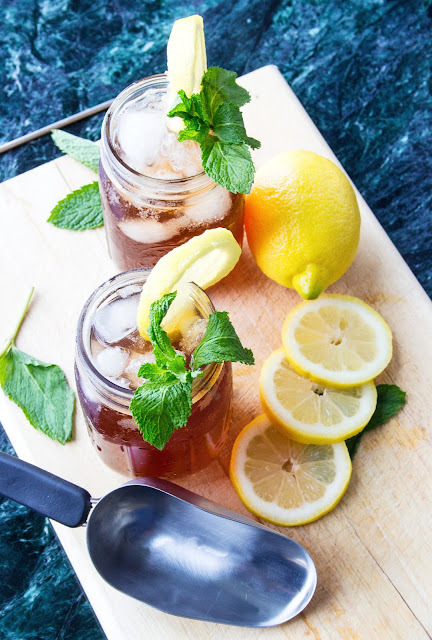 Add bourbon to tea and squeeze lemon juice for extra flavor.